Ann is a multiple award-winning Producer, Director and New Media Producer for CBC, Discovery Channel, HGTV, History Channel, PBS, and Fine Living Network. Her credits include: Turning Points of History, History Channel’s longest running series to date; Sunday morning Live, (CBC); The Heat with Mark McEwen (Food Network); TheFour Seasons Mosaic (CBC), Gemini nominee for Best Performance Doc; and Chris Award-winning The Roswell Incident. Her films and series have been broadcast in territories across the globe and won numerous awards. Her latest cross-platform project The Defector film and interactive won 3 Canadian Screen Awards and was selected into 20 international film festivals including SXSW, Hotdocs, IDFA, Sheffield Doc/Fest, Thessaloniki Film Festival and was sold in multiple territories. My Enemy, My Brother, the short film, was the 5-time winner of Best Short Documentary at international film festivals, including Traverse City Film Festival, Grand Prize Winner of the Best Shorts Humanitarian Awards, the Sepanta Award for Best Short Film, and was shortlisted for a 2016 Academy Award. The New York Times Op-Docs selected My Enemy, My Brother, the short film, and it was recently nominated for a 2016 News & Documentary Emmy Award. Ann Shin holds a Master of Arts Degree from University of Toronto in English Literature, as well as a Bachelor of Honours degree from University of Toronto in Anthropology and Literature. The Canadian Screen Awards winning filmmaker, Ann Shin has produced and directed programs and series for TVO, CBC, Discovery Channel, HGTV, History Channel, W Network, PBS, and Fine Living Network. Her films have screened and won awards at festivals including: Tribeca Film Festival, Hot Docs, IDFA, The San Francisco Film Festival, Montreal World Film Festival, New York Festivals, Traverse City Film Festival and the Chris Awards. Her programs have sold in territories in the US, Europe and East Asia and Southeast Asia. Her credits include My Enemy, My Brother, which won the Traverse City Film Festival Award for Best Short Documentary, and was nominated for a 2016 Academy Award. She won 3 Canadian Screen Awards for Best Documentary Program and Best Director in a Documentary Program and the Diversity Award for The Defector: Escape from North Korea. Her new media work, The Defector Interactive, has won an FITC Award for Best Motion Graphics, Digi Award for Best in Cross Platform Non-Fiction, and SXSW Award for Motion Graphics. More credits include Gemini nominee for Best Performance Doc, Four Seasons Mosaic (CBC), Chris Award-winning The Roswell Incident, Planet in Focus Film Festival winning Cow vs Clown and National Film Board Reel Diversity winner Western Eyes. Executive Producer, Series Producer and Director at Fathom Film Group, Ann has produced a number of lifestyle shows including Rags to Red Carpet, The Ultimate Expert Challenge, The List. She has also produced and directed for a range of other lifestyle series for CBC, CBC Newsworld, Food Network, HGTV, SLICE! and W Network, including: Venture, Faceoff, Sunday Morning Live, I Do… Let’s Eat, Surgeons, SexTV, Modern Manners, The Right Fit, Heartbeats. 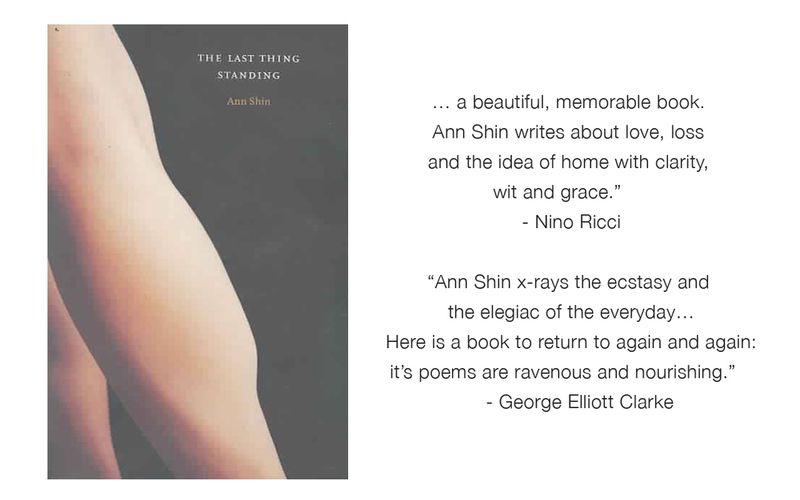 Ann Shin’s writing has been published in anthologies and magazines in Canada and the US, including Crossroads Cant , Broken Jaw Press On a Bed of Rice, Anchor Books, and Geography of Encounters, Rowman and Little Press and IV Lounge Reader, Insomniac Press, and The Last Thing Standing, by Mansfield Press. 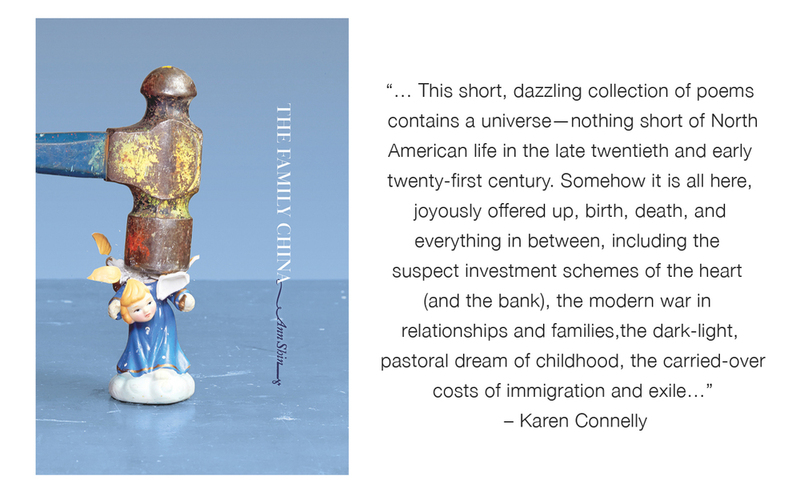 Her latest book of poetry, The Family China was published in 2013, by Brick Books and has won the Anne Green Award for innovation in story and narrative form. 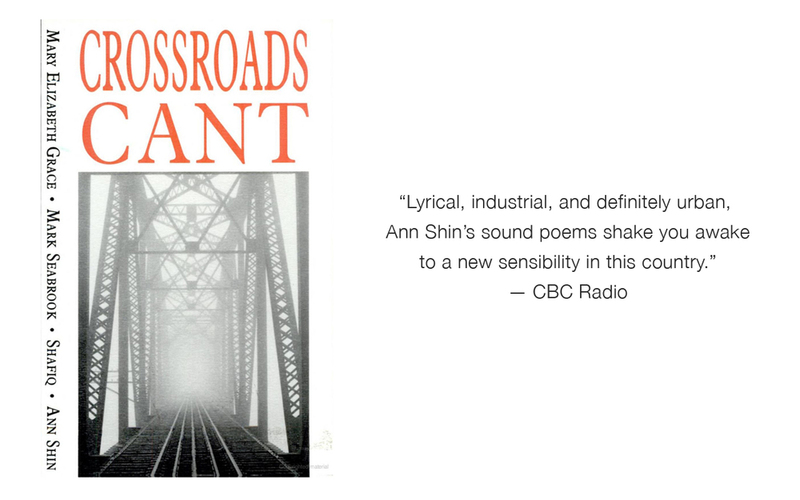 Some of the poems from the book were produced for broadcast on the CBC Radio One program ‘Living Out Loud’. Almost a month ago already?! Thanks @susaneheinrich and sean for a great time in Denver! My friend Victoria.General has shown in a bunch of cities and now she’s got a show in YVR - check it out!